It’s no secret that I love The Balvenie. The house flavor profile really works for me and I’m a big fan of William Grant and Sons as a company. The brand has become a mini-Macallan in recent years with prices skyrocketing for no reason (aside from demand) but they continue to experiment with new releases and haven’t gone the route of NAS releases. I greatly appreciate that. 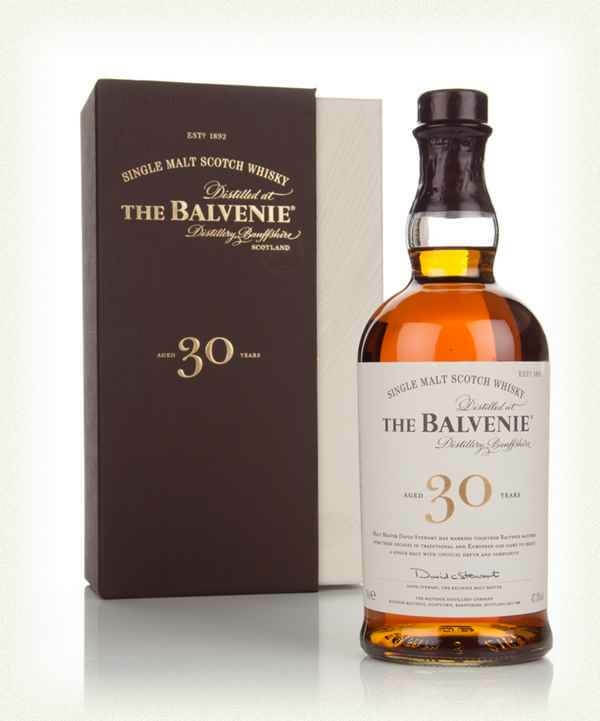 At the top of the Balvenie’s standard range is the 30 Year. Bottled at 47.8% ABV and without chill filtration, it’s a well-aged malt with good strength. At least as of a few years ago, The Balvenie put out two different 30 Year releases each year. This review is from the second 30 Year release of 2014. If I recall correctly, it was comprised of a combination of 7 or 8 ex-bourbon casks and ex-sherry butts. It was a special birthday pour for me a while back as that particular release and I were the same exact age when it was bottled. It’s funny to tell this story now but my first taste of Balvenie 30 came at the distillery in 2011 and I actually wasn’t sure I liked it. The old wood note was new to me and it took a few tries for me to acquire the taste. These days, it’s one of my favorite notes in an old whisky. I’ve had it a bunch of times since then and I’m glad I don’t have it often as it makes it that much more special each time I come back to it. I tasted this blind when I did this review which made it that much more interesting when I found it what I was drinking. I guessed the brand halfway through the pour but didn’t know the age until the reveal. Let’s get to the review! Overall Thoughts Drinking this blind, the nose initially led me to think it was a Benrinnes. However, as soon as I tasted it, I knew that I was way off the mark and the familiar flavor of the Balvenie started to shine through.